A collaboration beer of a very different kind is about to be released, involving two artisans from very different worlds. 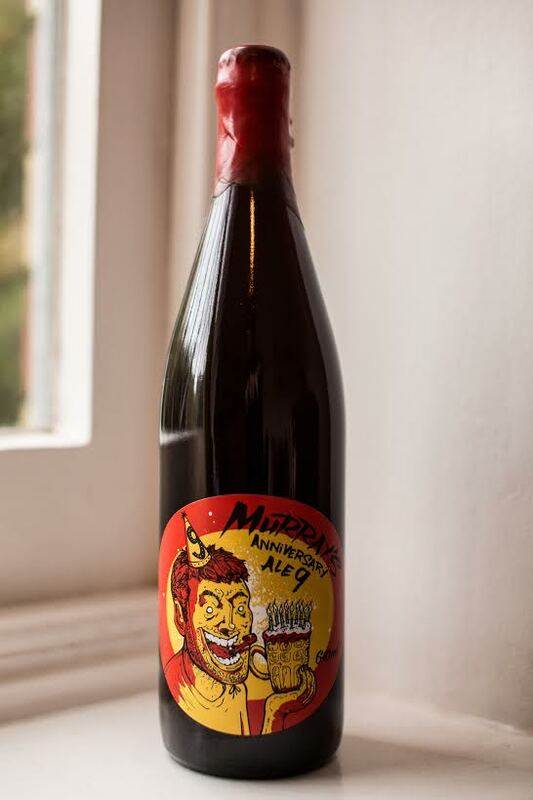 Experimental brewer, Murray’s Craft Brewing Co, has teamed up with renowned street artist, Mike Watt, to put an extra twist in the brewer’s birthday beer this year, Murray’s Anniversary Ale 9. “The Anniversary Ale series has traditionally changed subtly each year, but this year we decided to do something different, “said brewery owner, Murray Howe. “Besides great beer, our other true pleasure in life is visual art. Every beer we brew has its own distinct personality and design. Some are well known, like the classic Whale Ale, some a little more mysterious like Angry Man. Mike Watt is an Australian artist and illustrator based in Sydney. His mediums vary from biro, spray paint, brush and ink to digital. He describes his style as “kind of gritty and ugly”, normally showing characters with lots of personality that have lived an interesting life. “It’s always great collaborating with Murray’s,’’ Watt said. ‘‘They’re really into their craft and they make amazing beer. I love working with anyone who is passionate about what they do – when it’s making amazing beer it makes it even better! Murray’s Anniversary Ale is always oak aged, always big and always a very limited release of around 1000 bottles. While this year’s special brew gives a nod to its roots, reflecting the original recipe brewed to launch the company on New Year’s Eve nine years ago, the recipe twist is aging the beer on Hunter Valley red wine barrel staves. “These staves will not only add flavour and aroma from the inside surfaces that have been in contact with the red wine, but will also add raw oakiness from the outside surfaces of the staves,” said head brewer, Graeme Mahy, who has rejoined Murray’s to lead the next phase of growth for the beer business. “The end result of the staves provides a unique combination of part oaky, part red wine flavours. An English-style barley wine, this year’s Anniversary Ale features warming rich fruit cake-like sweetness from the caramel and roasted malts, with strong aromas of stone fruit and an assertive but balanced bitterness in the finish. This big beer (10% abv) can be enjoyed now, however, the brewers advise patience will be rewarded. Cellaring for 5-10 years (if you can) is recommended to maximise enjoyment from the maturing flavours. “If you just can’t hold out for 10 years, then try some over Christmas with a Christmas fruit pudding. Or in the New Year, with some ultra-rich and strong blue cheese,” said Mahy. Murray’s Anniversary Ale 9 will be available from Murray’s Brewery from 6 December, in a wax sealed artist series bottle (640ml).